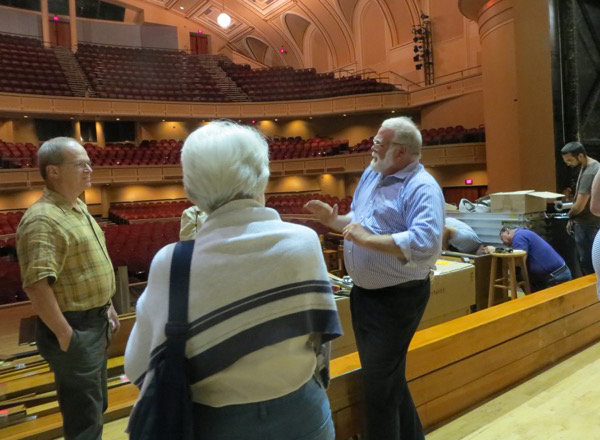 John Bishop is an organbuilder and organist with forty years experience in the design, construction, renovation, and maintenance of distinguished pipe organs. He holds a degree in Organ Performance from the Oberlin College Conservatory of Music, and founded and operated the Bishop Organ Company for fifteen years in the Boston area. He joined the Organ Clearing House in 2000, the only company in the United States that specializes in the preservation of pipe organs when they lose their homes. Under his leadership, the company expanded its scope to include renovation and enhancement of the instruments they work with, and the two companies were merged. As consultant, Bishop has advised churches, schools, estate lawyers, insurance companies, and public utilities on the care and assessment of pipe organs, and on major repairs, relocation, or replacement. In addition to his activities as an organbuilder, John has served churches for over thirty years as Organist and Music Director. As the son of an Episcopal Priest, he has been immersed in the lives of churches since his childhood. These combined experiences give John a comprehensive understanding of the art and architecture, liturgical significance and use, and mechanical and physical composition unique in the modern pipe organ world. John is a member of the Board of Directors of the Friends of the Kotzschmar Organ, a major concert instrument located in City Hall, Portland, Maine. In his capacity of Clerk of the Works and Chairman of the Organ Committee, he oversaw the planning and execution of the $2.5M Centennial Renovation project, completed in September 2014. For more than ten years, John has written a monthly column for The Diapason, a major journal for organists and organbuilders. He and his wife, literary agent Wendy Strothman, live in Manhattan and mid-coast Maine with their dog Farley.